Do previous owners of objects such as: dolls, toys, or other sentimental items attach themselves to it after they pass away? Or do "lost" spirits find the host item through their journey in our world? I’d like to address one of my favorite subjects that are one of the most loved and feared of childhood toys-Dolls! I found so much about this subject online plus combined with my life long association with dolls and their history, I had to break it down to 2 Parts: Haunted Dolls this week next week and Cursed Dolls next week. What is a doll? Dolls are defined as a representative of the human figure to be played with as a toy by a child. They can be simple-shape objects to life-like human representations (and made of any type of material) that a child would accept as a companion. 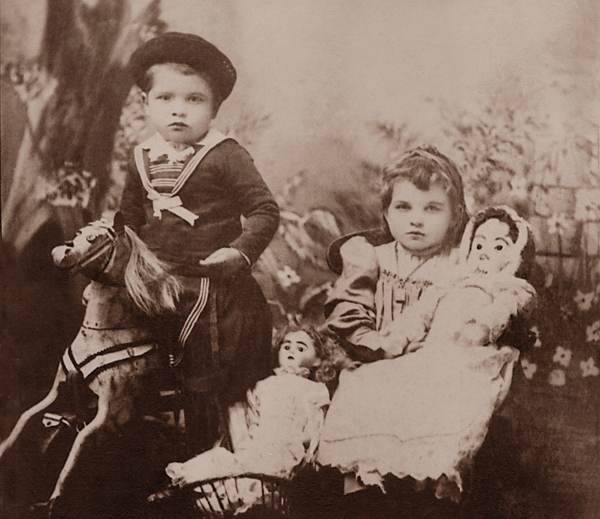 Dolls have long been a source of amusement for both children and adults. Dating from the ancient Egyptians to present day, dolls mirror or reflect our human history and past. They have been objects of comfort, adoration, and have brought joy to their owners. However, they can also bring terror as well as joy. 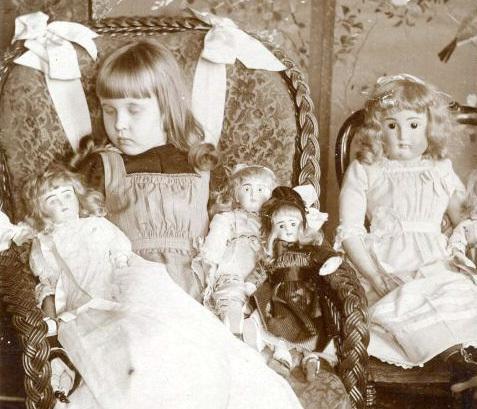 For some reasons unknown, dolls seem to attract ghosts or spirits. It is hard to find any scholarly reading on the subject- but here is what I found. Haunted dolls- are real life spirits that are attached to a certain host doll. Nobody really knows if the spirit picks that host doll, or if they are just drawn there, but we do know it happens. More troubling, dolls seem to become easily imbued with the spirit of the child to whom it most closely connected. And there is ample evidence by reading and listening to people tell their personal stories involving dolls to at least provoke suspicion that some dolls stay connected via this childhood link for years, even generations after their childhood playmate has grown to adulthood or succumbed to early death. 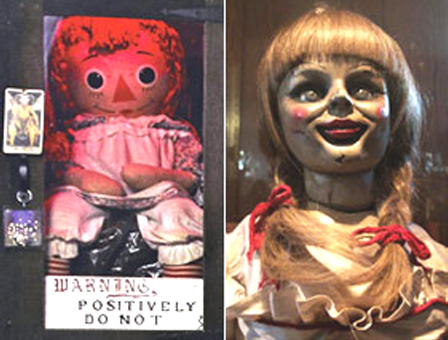 You might even have a haunted doll in your home, and not even know it. Have you seen the Ghost Hunters episode that featured a private home of a woman who declared that she had ghosts which among her big pile of stuff included a creepy pile of dolls on the bed? Throughout history, we have heard many stories in connection with a doll whose eyes will follow you across the room or has moved. Others claim they hear the doll talking. Is there any truth to all of this? What is true is that Pediophobia, also known as the fear of dolls (or humanoid figure) is a relatively common kind of phobia. 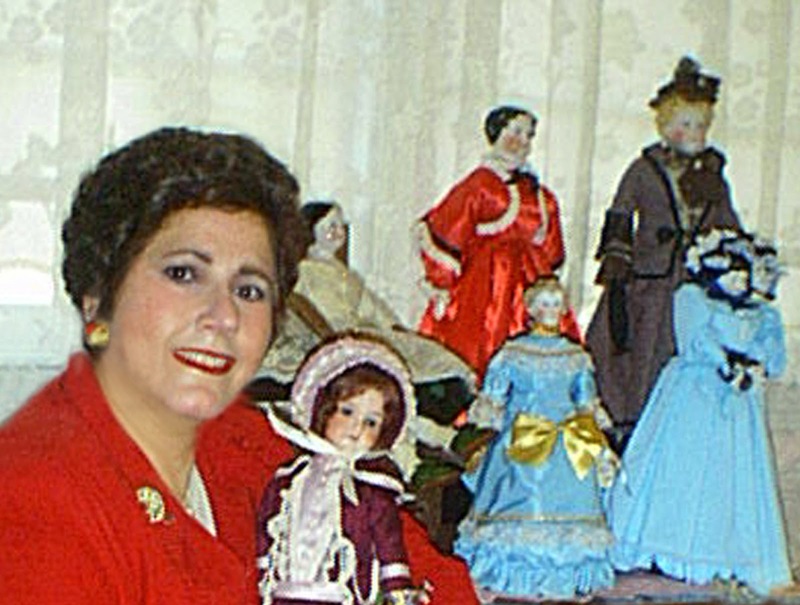 It is an anxiety disorder that can be associated with a range of dolls from old-fashioned china dolls and porcelain dolls to more modern plastic dolls that talk and move. This can be the result of a traumatic experience in someone’s past associated with dolls that has a lasting effect throughout their lives. Dolls seem to provoke a visceral response with people. Either you love them or hate them. I personally think dolls have gotten a bad rap. There is no doubt that dolls were well loved and the emotional connection with their owner intense. It’s that psychological connection that has been vastly exploited in many ways by Hollywood and TV shows. 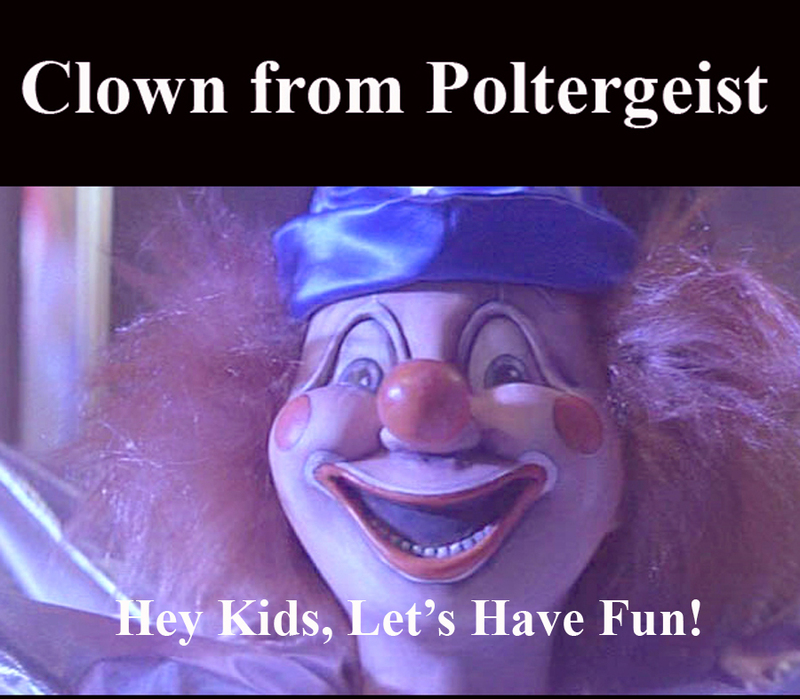 They have had a big hand in perpetuating the theme of haunted dolls by creating some of the scariest TV shows and movies that portray dolls as sinister characters. Growing up in the 1960’s one of my favorite shows was The Twilight Zone. There was one unnerving episode where a little girl and her pretty new Talky Tina doll are at odds with her mean step-father. Soon the step-father discovers the doll has a mind of its own, moves and talks, and seems to love and protect the little girl but drives the step-father crazy. He tries to destroy the doll in different ways but in the end he has an “accident” and falls to his death. As the mother picks up the doll, lying near her dead husband the doll opens its eyes and says, “My name is Talky Tina and you better be nice to me!” This was a chilling effect as the doll looked normal like any doll you can purchase at a toy store, yet it was evil to the extent it protected the little girl but threatened the girl’s parents. I had started to collect dolls at a young age and never gave it a thought that some of my dolls, that were similar to Talky Tina, were creepy or evil. Another memorable and chilling Twilight Zone episode I remember featured a ventriloquist named Jerry and his creepy looking dummy Willie. Jerry tells Frank, his agent, that Willie is alive and frequently talks to him. Jerry feels he is being controlled by Willie and tells the agent that he is at the mercy of the dummy. Frank does not believe Jerry and thinks he might need psychiatric help. Eventually Willy wins control of Jerry and later you see them onstage and you see the chilling outcome. They have switched roles! The dark mood lighting of the show added to the weird story. This time the dummy looked ugly and creepy but, was it only evil and possessed only in the mind of the unbalanced ventriloquist? 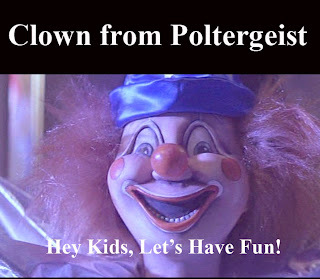 The Clown Doll in the horror film Poltergeist (1982) is remembered as being one of the morefrightening entities in the film (in part due to many people fearing clowns). A poltergeist spirit most likely has inhabited the doll. There is the scary scene where Robbie sees his clown missing and as he is looking for it gets grabbed from behind and the clown starts to choke and drag him under the bed. Every kid’s worse nightmare-something under the bed! The clown continues to choke Robbie until he fights back, ripping the clown doll's stuffing out and continues to attack it before finally stopping. You know that had to leave an indelible impression on many kids watching that movie that I’ll bet clowns were not on their Christmas Wish Lists for many years to come. The doll collector is always on the hunt for that special doll that “speaks” to them (hopefully not literally. Any avid doll collector will tell you that it can be hard to pass up the opportunity to purchase or obtain a beautiful, desirable doll and rare doll. Some people go out of their way to buy a possessed or haunted doll such as on auction sites like Ebay and there are actual websites where you can adopt and buy such a doll. I don’t know the reason people would knowingly invite something like that into their lives. Are they asking for trouble? I can only say good luck tothem! As an artist who restores old photos, paintings, and antique dolls I never was aware of any dolls being brought to me for repair carried any type of residual or spirit energy or felt I was dealing with a possessed doll. These objects of a client’s past childhood had been well loved and carried unique and special histories for their owners and families. I was only too happy to be involved with restoring these precious heirlooms so they could be passed down to the next generation. Author with some of her early china and bisque dolls that have been restored. I've always loved dolls especially the wonderful little souvenir dolls my parents, uncles, aunts, cousins and friends have brought back from their world travels and gave to me as gifts, plus my beautiful antique china and bisque doll collection that represent a comprehensive range of early doll making by the Germans and French. I've had the privilege to restore and research these dolls and be a steward for them for a short time. I've never feared my dolls, and consider myself fortunate after reading some of the harrowing stories people have reported. Although there was one incident of a small antique Welsh doll a client’s aunt left her and brought in for repair. She was dressed by the way in traditional costume along with her “witch style” high black hat. I had some paranormal activity while fixing her with a few items jumped off my shelf to the floor in my art studio. But was it because of the doll and a spirit attached to it? 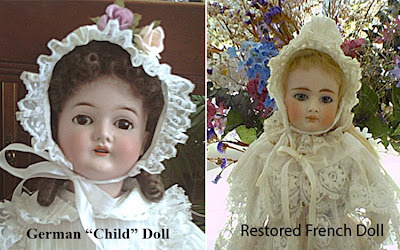 Right now I have several old dolls sitting on a shelf in my studio waiting for repair as I write this blog. They seem and look innocent enough and I don’t think they will give me any trouble. Wait, did one just wink at me? That is really cool post. Thank you so much! I am sorry I didn't see your comment sooner. I appreciate that!